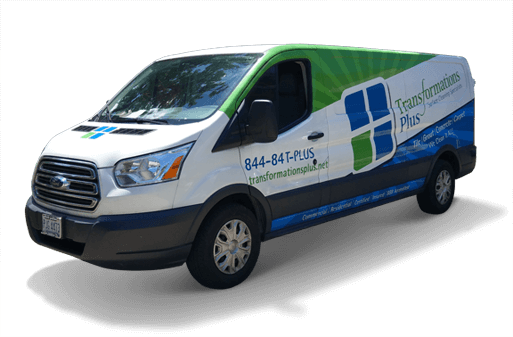 Transformations Plus is a family owned and operated company serving the greater Dayton, Ohio area since 2010. 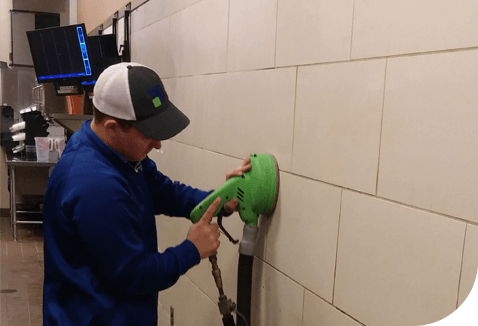 Our goal is to provide you with astonishing service and the best investment in cleaning and sanitizing your tile, grout, carpet and upholstery. With Transformations Plus there are no surprises and no hidden charges. We’ll clean your hard surface or carpet like it has never been cleaned before! Why waste more time and effort “trying” to clean your surfaces? Transformations Plus offers fast, effective, and affordable solutions that work! Carter made our 30-year-old carpet look like new! 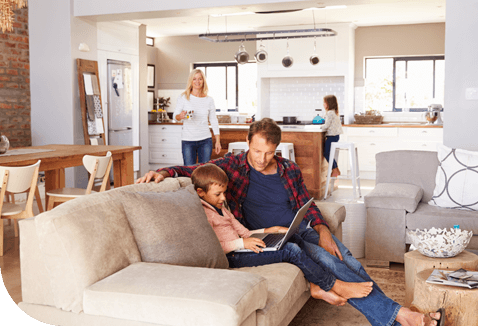 The service is thorough and efficient, and the carpet dries quickly so there is less "down time" putting the house back together. I highly recommend him! Best floors cleaners around! I've been using T-Plus so long it's hard to remember what dirty floors look like! They have set the standard of professionalism and cleanliness in my home, rental properties and businesses. I cannot give them a higher recommendation. They are THE BEST!! Had a great experience. They did such a great job cleaning my shop floor at work I had them do my carpet at home. I will use Transformations Plus for all my future needs as well as recommend to family and friends. Transformation Plus LLC, Carter *****, has cleaned the carpet and tile floors in many homes I prepare to sell as realtor. As well, I have used them in my own home. Carter is extremely professional and his work outstanding. I just love to send Carter to a home where the homeowner thinks they need to replace their carpet due to stains...yet, once Carter has cleaned the carpets the home looks good as new. As well, his work in cleaning the grout in tile floors is truly an amazing transformation. Call Carter ***** of Transformation Plus LLC for your floor cleaning needs. I've used and recommended Transformations Plus numerous times over the past few years. Every single experience has been positive. Honest, professional, trustworthy company I would highly recommend. Carter Click of Transformations Plus is a very honest christian man and his co. does a fantastic job on carpet and tile. We had him clean a rental property that had dogs and the carpet came out looking like new. You will be happy with this co.
Transformations Plus is my go to company for carpet and tile cleaning. They are prompt, thorough and always have great suggestions on how to treat specific spots. You will be happy if you give them a call! We moved into our new home and hoped we could use the existing carpet/flooring that is very light in color but was pretty dirty with several stains. The team at Transformations Plus cleaned our carpets and grout in the kitchen. Both areas looked amazing when they were done! Carter and his team did a fantastic job with our shop floor at Choice Comfort Services. Looks awesome!!! Thanks for a job well done! They did a very thorough job. Very efficient. He also gave some advice about how to care for my carpet. Carter and his crew are amazing! Professional, on-time, over and above on service! Highly recommend them. I have used Transformations Plus on numerous occasions and found their work to be excellent. Carter Click is professional and an expert in his field. I also refer him to my clients. Carter & Transformations Plus has done incredible work at our house. When we were painting my son's room, we splashed red paint on his white carpet. We figured it would be there forever, but Carter was able to come in and make it completely go away! He was also able to get some pretty nasty pet odors out of our carpet. I highly recommend Carter and his team! I referred Transformations Plus to my brother who needed his carpets cleaned before moving out of his old house. Carter and his team did an amazing job and made the carpets look brand new in most of the rooms. Very professional, on time and great work! I would highly recommend Transformation Plus for any carpet cleaning, floor, tile or grout cleaning. Not only was the carpet clean, but it was so soft. Not the usual crunching feel you get with other carpet cleaners. I would definitely recommend Carter and Transformations Plus. Transformations Plus is a premier provider of cleaning and restoration of your tile, natural stone, grout and carpet. I have referred Carter Click and his team to many of my valuable customers. The Transformations Plus team is professional, efficient and deliver their service at an extremely high level. I would not hesitate to use and refer them to anyone. 100% satisfaction! I have used Carter Click and Transformations plus personally, and have also recommended them to clients and friends, each of whom was 100% satisfied. The quality service and work was excellent, and I will continue to use Carter and his team. Carter Click with Transformation Plus always does a great job with all your floor clean needs. There is no one I would trust more than his company. Whether you have a 1000 square foot company lobby or a 100-square foot bathroom. I highly recommend Transformations Plus they have done both professional offices and residential for me. They've done a fantastic job and we continue to refer them to friends and family. Transformations Plus cleaned our bathroom tile which was probably the dirtiest grout they had ever seen. Looks beautiful! Such a difference. Honest and great quality work, you want the job don't right the first time call the guys at transformations plus!!!! Transformations Plus provides top-notch service. Highly recommended. Carter and his son did a superb job on the carpets and floors in my rental home. His knowledge of stain removal is exceptional, and the work was done thoroughly and well, even though they moved quickly and got the job done in only a couple of hours. He gave his professional opinion on the trouble spots and allowed me to choose what I wanted to do about them. The end result was nice, clean floors and carpets and a very reasonable bill. Carter and his son were very personable, helpful, and really interested in doing a good job. I will hire them again if I ever need floor or carpet cleaning done. As a matter of fact, I had hired movers and housecleaners that bailed out on me, and Carter and his son were the only ones that kept their word and came to do the work. I would give them my very highest rating.